COPENHAGEN, Denmark – Oct. 3, 2013 – BetaDwarf Entertainment, an award-winning independent game studio, today announced it will hold a tournament for its debut title, the co-op action RPG Forced, from October 11 to October 13, 2013. The tournament, co-sponsored by a number of high-profile partners, provides gamers with the early opportunity to win gear and experience the fast-paced multiplayer gameplay that made Forced a hit at this year’s PAX Prime and Gamescom. The game will officially launch on Steam and other popular digital distribution platforms for PC, Mac, and Linux on October 24, 2013. Forced will also see Wii U and next-gen releases in 2014, with PlayStation 4 and Xbox One launches planned. To participate in the tournament, simply download the Forced demo from Steam and follow the info here: forcedthegame.com/tournament. Here you will also find more information about the tournament, including exact timing and prizes. SAN JOSE, CALIFORNIA – September 24, 2013 – Skytree®, the Machine Learning Company®, today announced it has advanced the state of machine learning for Big Data enterprise applications through the launch of its Second Opinion™ program, which connects data scientists and analytics professionals with Skytree’s powerful Machine Learning software and data scientists. With Second Opinion, organizations now have a trusted partner that can address the whole spectrum of challenges around advanced analytics on Big Data. 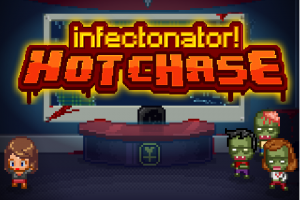 The Zombie Infection You’ll Kill to Spread – Infectonator Hot Chase Free on iOS and Android! IRVINE, CALIFORNIA – September 12, 2013 – Toge Productions, the masterminds behind the zombie apocalypse Infectonator action-strategy game we’d die to play, today launched the side sequel Infectonator Hot Chase. Published under Armor Games, whose titles Kingdom Rush and The Last Stand: Dead Zone have become global sensations, Infectonator Hot Chase amps up the apocalypse by letting the player rule the mayhem in a quest to dominate the world! Infectonator Hot Chase is available for FREE on both iOS and Android devices. 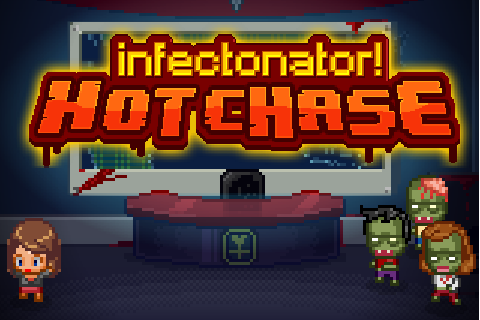 Continue reading The Zombie Infection You’ll Kill to Spread – Infectonator Hot Chase Free on iOS and Android! NEW YORK – August 22, 2013 – Boxed, a new venture by mobile industry veterans and engineers from Zynga, Adap.tv and Flurry, is launching its mobile commerce app that brings warehouse club savings to customers’ doorsteps. Boxed takes the headache out of warehouse shopping and offers 1-2 day delivery on hundreds of products, with no annual membership fee. The company recently completed a seed round that totaled $1.1M and included ENIAC Ventures, Social Starts and 15 Angels (Bessemer’s angel group). Former Zynga COO David Ko, also a Boxed investor, will lead the company’s board of advisors. PARIS – August 19, 2013 – Aarklash: Legacy, the next tactical adventure game from Cyanide Studio, will be available worldwide on Thursday September 12th, 2013. In preparation for Gamescom, Cyanide also unveils the latest gameplay trailer. More details have been revealed today on the upcoming tactical RPG, set in the world of the Confrontation miniatures game. A new trailer available on Cyanide’s media channel (http://www.youtube.com/watch?v=K7IpM7_hw9k) introduces players to the game’s world and combat system. Players will also discover the different characters that can join the party, as well as some of the enemies to be encountered along the way. NEW YORK – August 15, 2013 – New York City’s heroic construction worker today gains new tools to fight new baddies as Falling Objects Entertainment releases a content-packed update for its iOS defense game, Crushin’ Robots – NYC. In Crushin’ Robots, players are the city’s last line of defense against an evil robot invasion, turning normal construction equipment, such as nail guns, propane tanks and wrecking balls, into instruments of destruction in order to keep the robots at bay. Continue reading Doors to the Official Dogs of War Online Website are Now Open!